Vanessa Crockett Reed - Reed Law Firm, P.L.L.C. Ms. Reed graduated from Christopher Newport University in 1998, and Regent University School of Law in 2001. She was admitted to the Virginia State Bar in 2001, and has been practicing law since that time. Ms. Reed was also admitted to the U.S. Bankruptcy Court for the Eastern District of Virginia in 2001, and is a Virginia Supreme Court certified guardian ad litem for children and incapacitated adults. Ms. Reed is a member of the Prince William County Bar Association and the Virginia Women’s Attorney’s Association. A native of Yorktown, Virginia, Ms. Reed relocated from Southeastern Virginia to Northern Virginia in 2002, and has been practicing in Manassas, Virginia, since 2005. 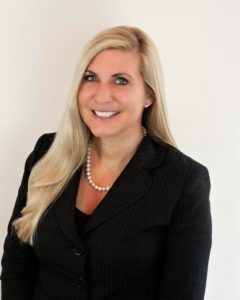 Prior to moving her practice to Manassas, Virginia, Ms. Reed practiced in McLean, Virginia, where she worked for a large law firm representing insurance companies in the defense of workers’ compensation cases, personal injury cases, and premises liability matters. Since 2005, Ms. Reed’s practice has focused on family law, personal injury, workers’ compensation, and guardianship matters. Contact Vanessa Crockett Reed by email at vreed@reedlawva.com or by telephone at (703) 530-8810.